Yep, back again! Don’t freak out… it’s just ’cause my TV is broken. Dinner came together really easy. It helps to have a plan – menu plan, that is – especially when you take the trip to the grocery store. Pinterest has once again come through for me in that regard. I can find recipes, pin them to Pinterest, then go back and get organized with a Weekly Menu plan. The idea: find recipes that use a lot of the same ingredients or one ingredient that I can buy in bulk to use in multiple recipes. Then I put them onto my Weekly Menu board so I have easy access to the recipes when it comes time for dinner. I also added desserts, too, but unfortunately we needed to get some essentials that basically decimated the rest of our budget. Thank goodness for Sam’s Club. We were able to get the treats and drinks for both boys’ baseball games in advance, toilet paper, dishwasher detergent and fabric softener to last us a month or more, plus HUGE bags of dog and cat food that we probably won’t go through for a few months! Our eldest seems to think his ferret needs to eat, too. Go figure! After spending SO much time on the last blog post (there were a lot of pictures to post! ), a quick and easy dinner was just what I needed. 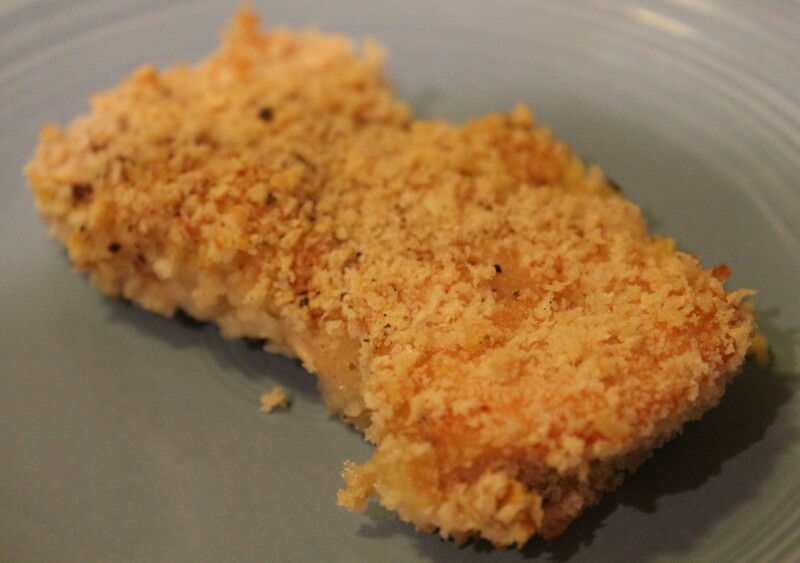 After looking over the recipes on my board, I chose Panko Mustard Chicken from Simply Being Mommy. Start off by washing and trimming the chicken. After trimming the chicken, place it in a quart-sized plastic baggy along with the mustard and seal shut. Move the chicken around and make sure each piece is coated thoroughly with mustard. 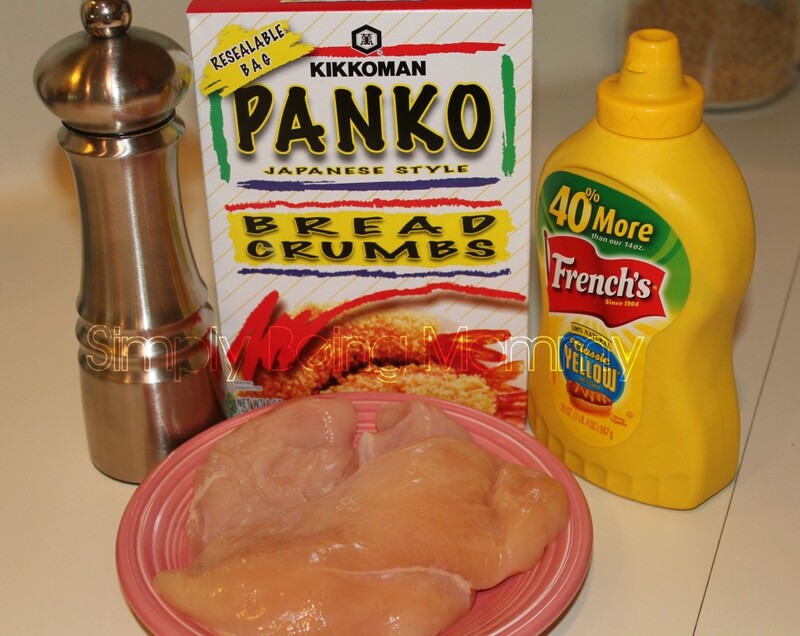 Place Panko in a shallow dish or bowl along with pepper. Once the chicken is coated, place the chicken in the Panko and make sure it’s coated on each side. Spray a large glass baking dish with Pam or something similar and place the chicken inside. Cook in the oven on 325° for approximately 30 minutes or until the internal temperature of the chicken reaches 165°. That’s it! It takes about 5 minutes to prepare and 30 minutes to bake. The kiddos gave this one a YUM! and This is the best chicken EVER! Including my daughter, who does not like mustard, for whatever reason. To be fair, I didn’t tell her it was made with mustard until she’d already given it a thumbs up… so all in all, great dinner!